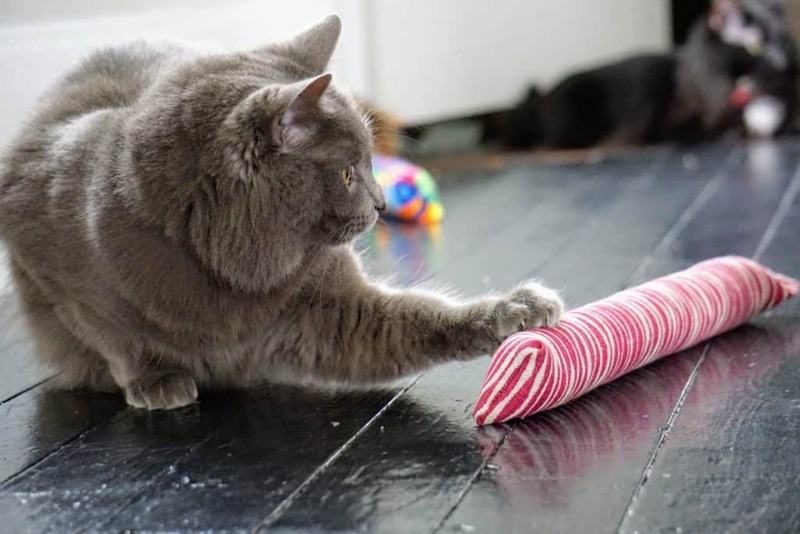 Finding the best cat toy for your furry friend is one tricky endeavor! 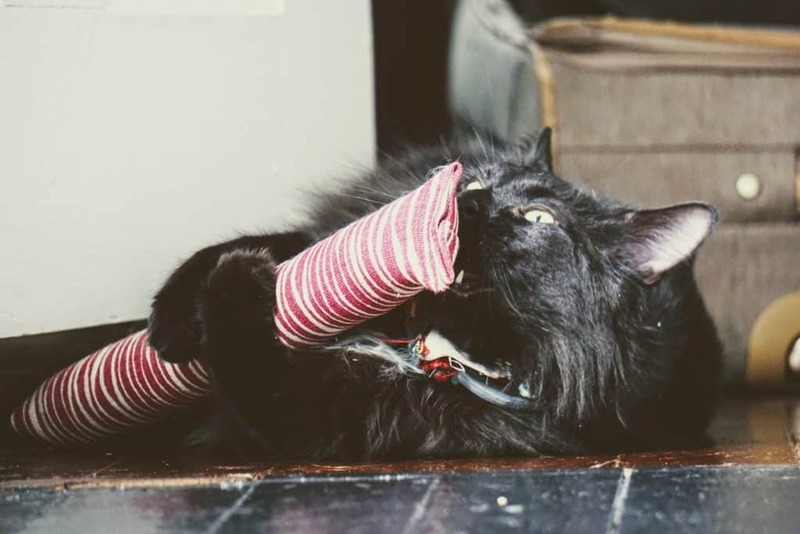 How do you make sure that the toy is safe and strong enough to resist your powerful beast’s claws and entertaining enough to keep him/her interested on the long run? We believe our friends at Kitty Kick Stix have found a way! 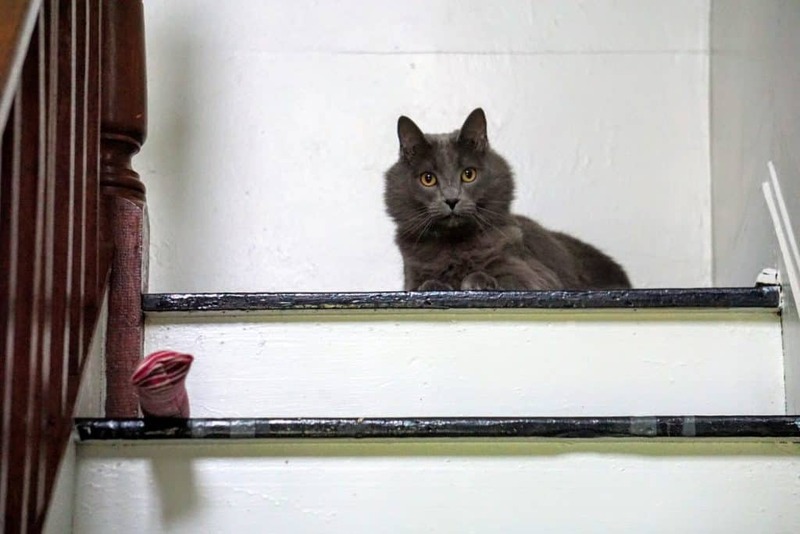 As you may know, the active trigger in cat nip—nepetalactone—is what makes kitties go crazy. 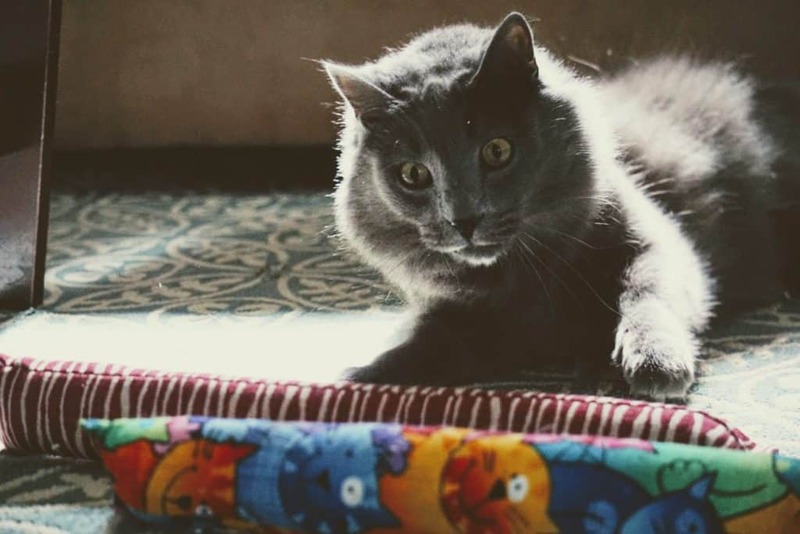 When sniffed or smelled, which is common with catnip cat toys, you’ll notice dramatic (often humorous) behavioral changes in your cat. Some cats might not react to the smell of catnip since it is hereditary. In fact, only between 70-80% of felines might respond to catnip! Is your kitty one of them? 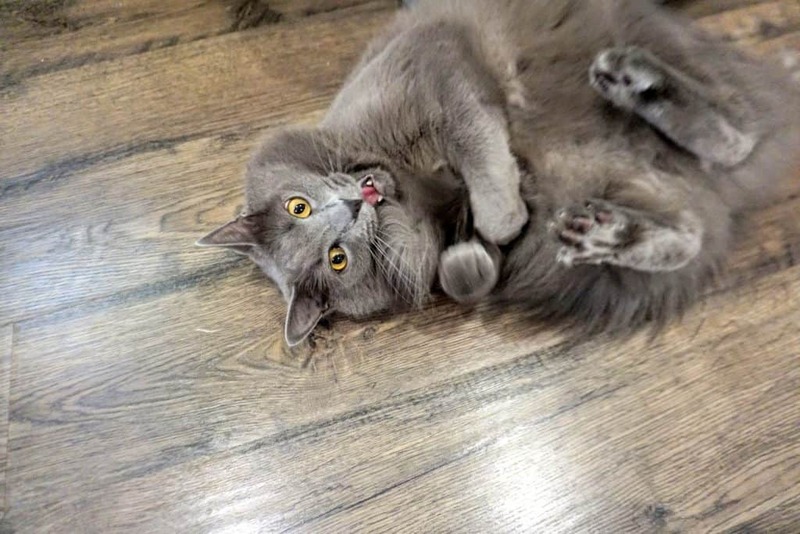 Yoda is definitely among one of the kitties who DO react to catnip. 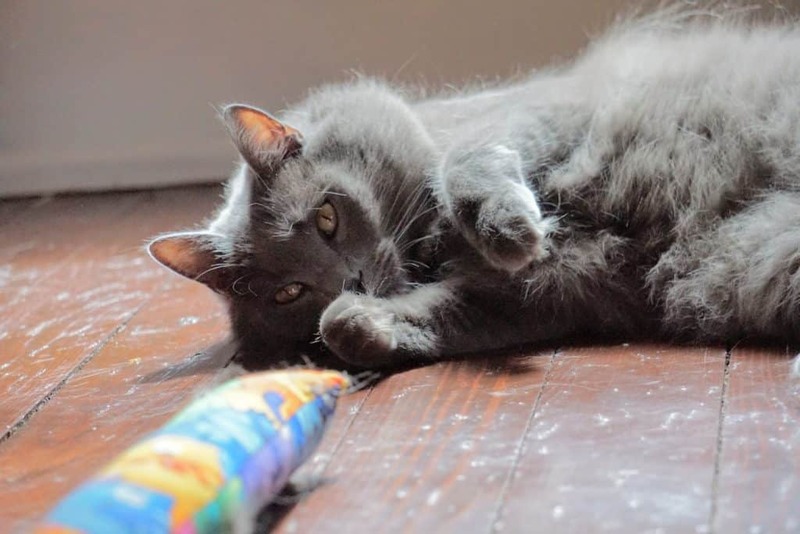 Yoda is a pretty laid back cat, but when we give him catnip, you better step back. He is a real kicker! 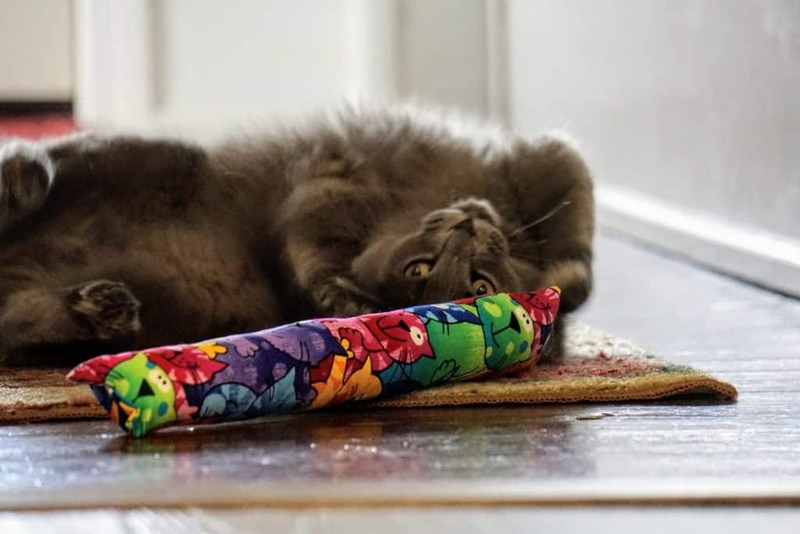 Read on to discover Kitty Kick Stix organic catnip kicker stick and see Yoda’s reaction in pictures! 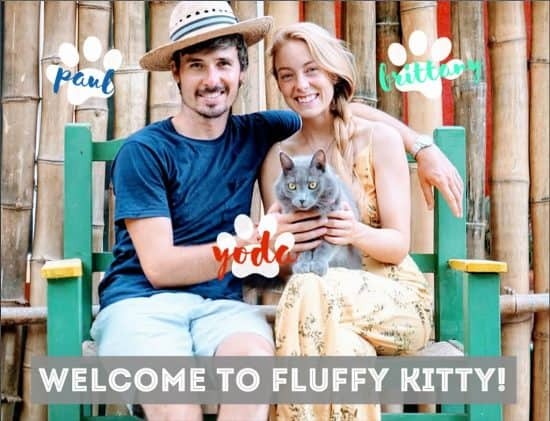 Kitty Kick Stix is a family owned business that was founded in 2012 by people like us; cat lovers dedicated to create a better world for their furry beasts. They put all their energy into creating the softest, most durable and cat-nippiest cat toy on the market. 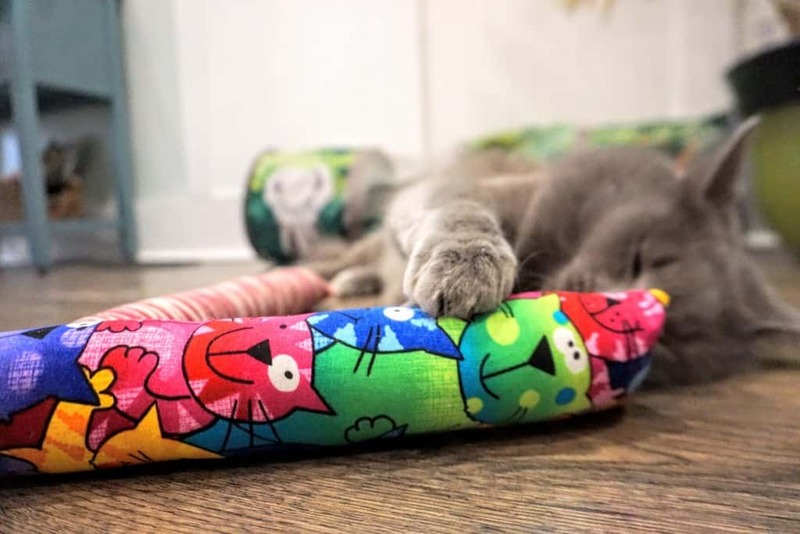 Each Kitty Kick Stix is handmade in California (San Clemente) and completed within 72 hours to make sure that your cat gets the freshest catnip possible. 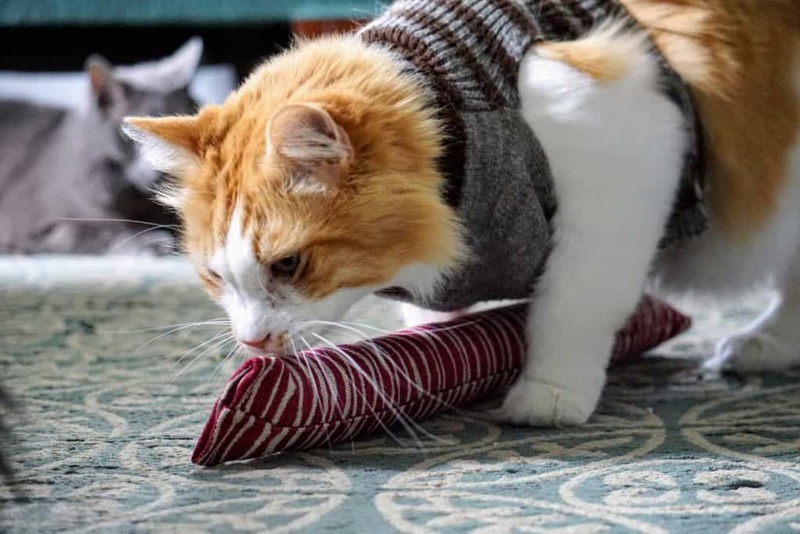 What we love about them is their commitment to a superior craftsmanship: they take great pride in creating handmade cat toys that are strong, high-quality products made with organic catnip. The result is far better from other ‘copy cat’ catnip cat toys made abroad. It takes approximately 1/10th of a second for a cat to notice the Kitty Kick Stix package. Coming back from the mail box, we barely made it into the house when Yoda and friends were already rolling on the floor and jumping around like kangaroos. One first thing you will enjoy when receiving your Kitty Kick Stix is the instant interest your cat will take in it. Even before opening the package, your kitty will be rolling around and trying to rip it apart. When the package is eventually destroyed, you will uncover a simple yet beautiful cat nip stick. In Yoda’s special package were two, 15-inch kitty kicker sticks and a personalized letter from Mike, one of the co-founders of Kitty Kick Stix. As advised in his letter, we made sure to have our camera ready when we gave Yoda his new toys! We don’t think Yoda cared about the color and fabric quality, but on first sight, Paul and I were in love with the cute designs. 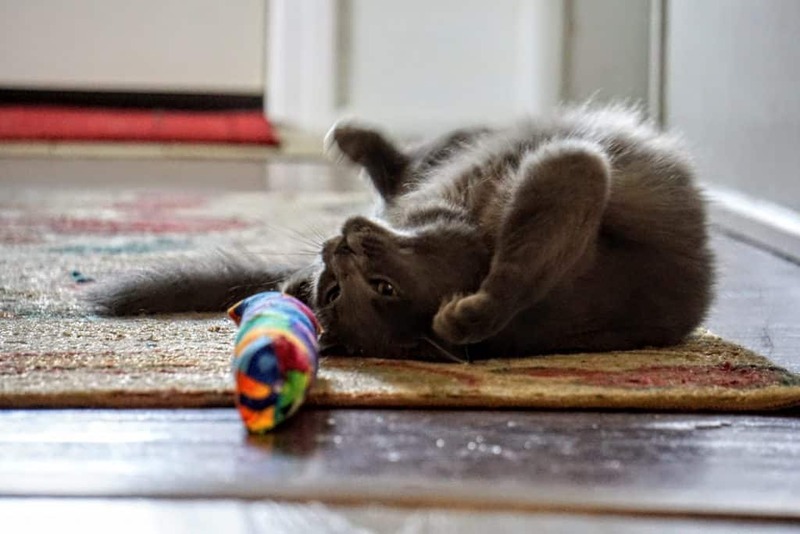 The original “Happy Cats” kicker toy is a pawpular choice for all kinds of kitties, thanks to it’s medium-strong catnip. For cats who are real catnip enthusiasts, the “Purple Tiger” version has ‘extra strength’. Watch out for the bunny-kicker kitties among us! 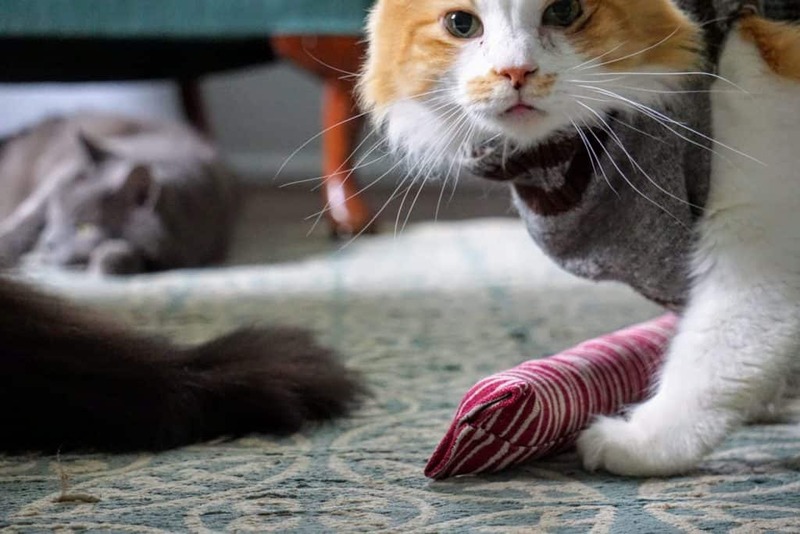 When Mike told us that they’ve put all their time and effort into making the “softest, most durable, and cat-nippiest cat toy on the market,” we had to test it out for ourselves. The two versions look and feel different. 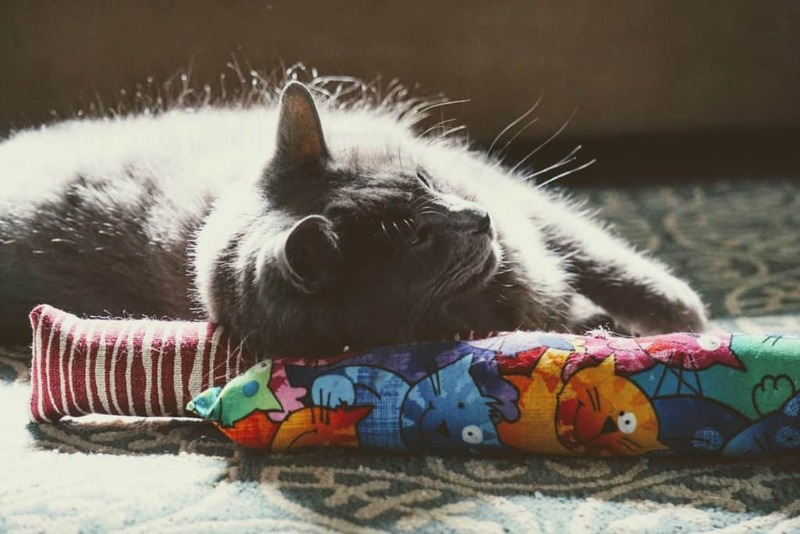 The Happy Cats kicker toy has the original soft feel that you find in any cushion cover. 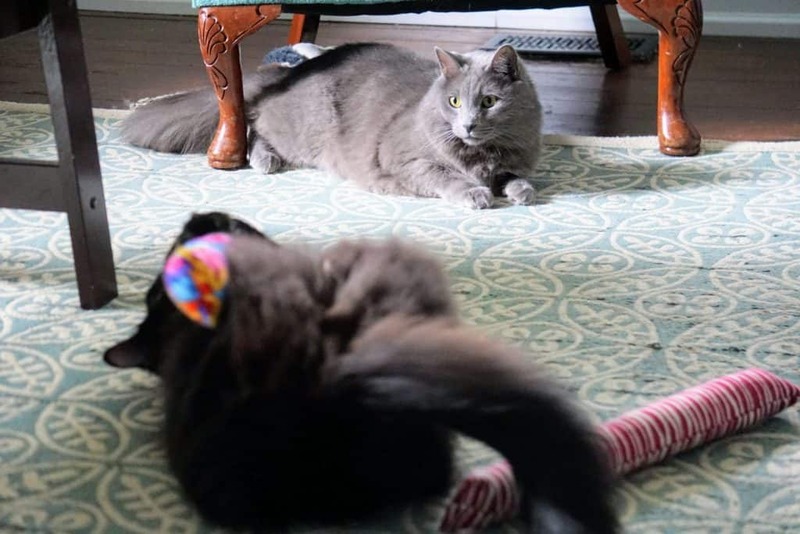 Yoda definitely took to the Happy Cats at first, but once we introduced the extra strong Purple Tiger kicker toy, it was hard to get him to take interest in the Happy Cats version. The Purple Tiger has a stronger fabric feel and sturdier “stick” feel, in addition to its stronger catnip smell. The Purple Tiger is definitely for the kitties who like to sink their teeth and nails into their catnip prey. With their sticks being made of 100% organic cat nip, we felt confident giving Yoda this kicker toy. 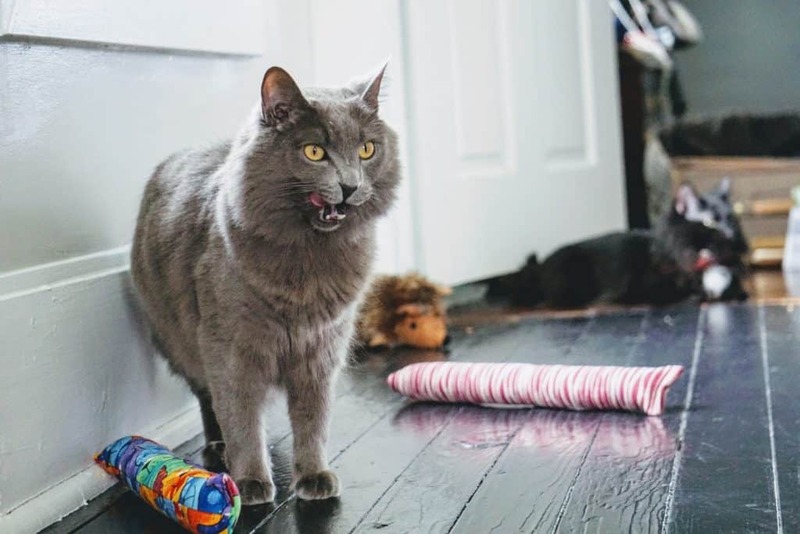 Both the Happy Cats and Purple Tiger sticks are durable, but our preference goes to the Purple Tiger simply because Yoda can get pretty feisty with his catnip toys. The fabric seems thicker and more rigid, making it harder for Yoda’s sharp teeth to poke holes in it. 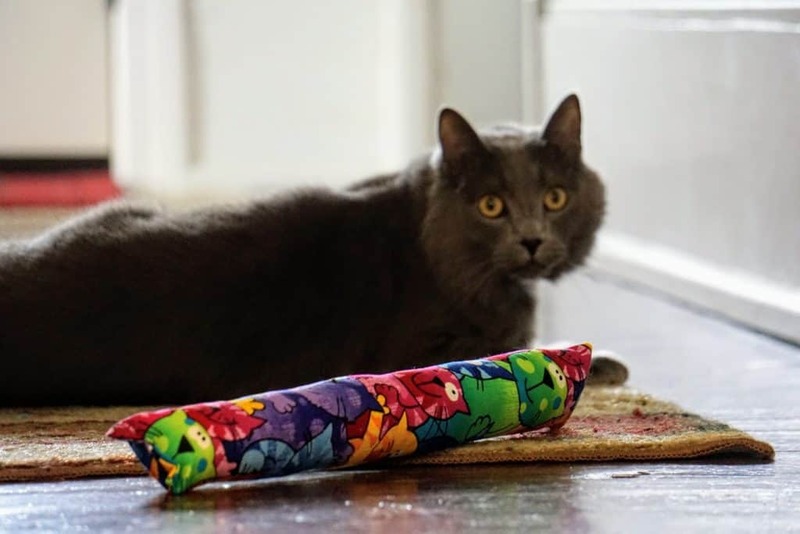 The fact that these kicker sticks are 15 inches long gives the added convenience of the catnip toy to not break and come apart, like small catnip-filled mice tend to do. They are also easy to find if your kitty happens to lose one under the couch. It’s cylinder shape also attracts kitties. They can kick it, chew it, swat at it, roll over it, and more! Yoda pretty much did all those at once. We think Kitty Kick Stix has so much to offer the feline community. Not only are they a family business that gives back, they care about making pawtastic products for your cat to enjoy. 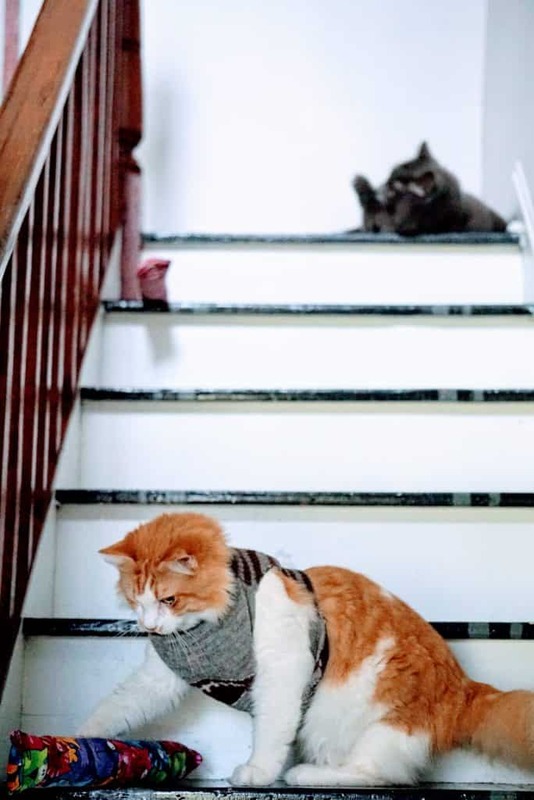 It’s not always easy to find handmade cat products, but when you do they’re definitely keepers. Kitty Kick Stix is a cat-related business you can trust. Kitty Kick Stix offers a wide range of whimsical fabric styles and sizes. Feel free to choose the one that best suits your kitty from their online shop! 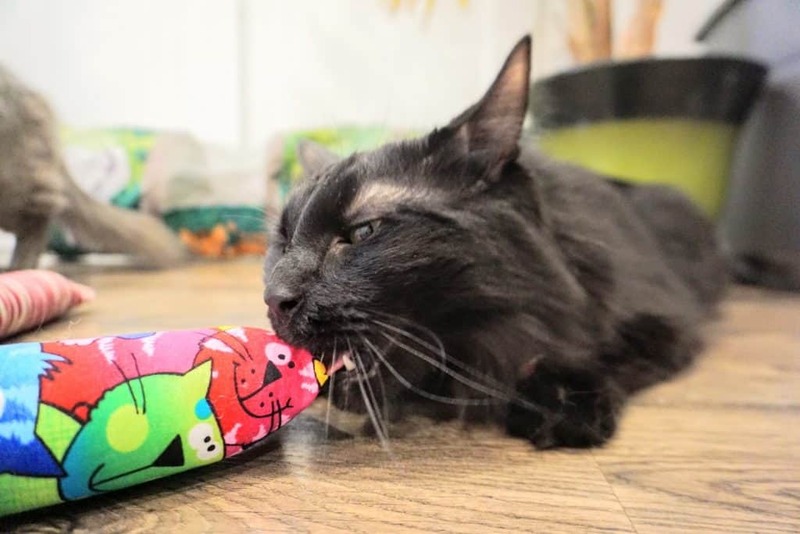 When you buy a catnip kicker toy from Kitty Kick Stix, a percentage of your order is donated to a rescue organization of your choosing. Helping cats around the world find their forever homes is an integral part of the Kitty Kick Stix mission and purpose. Kitty Kick Stix pledges to give back to local rescues in hopes to make a positive difference in a kitty’s life. Your purchase not only benefits your cat at home, but other kitties in need of continual support and treatment at shelter facilities. Don’t forget, an order at Kitty Kick Stix also supports a local, family-owned business! 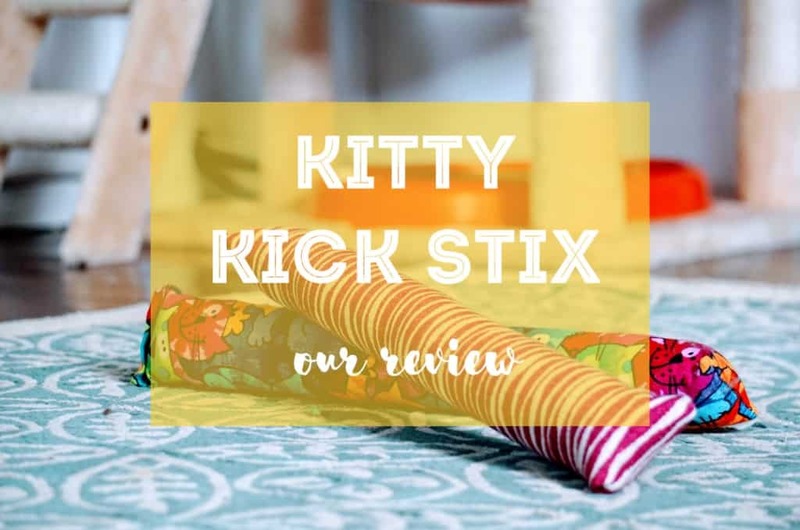 Have you heard of Kitty Kick Stix before? If not, now’s the time to discover their pawsome organic catnip kicker toy! With hundreds of positive customer reviews (by felines themselves), your kitties will undoubtedly love a kicker toy of their own!! What do you think about our meowdels?? Who wins title for the cutest kitty? Leave your answer in the comments below! !